This adults-only, all-inclusive clothing-optional boutique hotel features all ocean view suites. 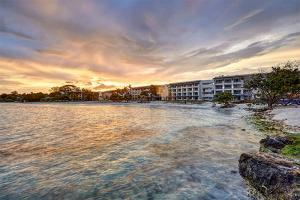 From every vantage point, enjoy the pristine blue ocean and rocky shores of Negril. The hotel features 26 exquisite ocean-facing suites in an isolated enclave with premium Butler Service. Unwind at the pool and Jacuzzi, enjoy daily and nightly entertainment, workout at the gym or even take a mixology and cooking class. Located about 1 hour and 10 minutes from Sangster International Airport.